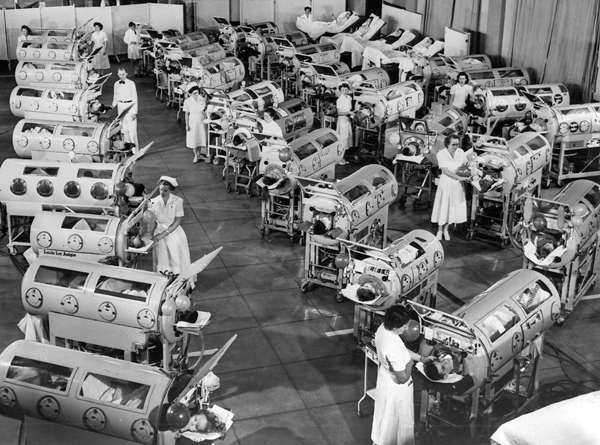 The patients in iron lungs (above) are in the auditorium of Rancho Los Amigos National Rehabilitation Center in Downey, California USA. The photograph was taken in 1953 as part of an information film produced by the March of Dimes. Public Reaction to Jonas Salk's polio vaccine.